Thank you for posting this as I have been wondering about this. I have purchased several cute liners from hobby lobby and the cute design is not even visible after baking. From one cupcake lover to another I appreciate the recommendations. Thanks for the information and the adorable cupcake pics! 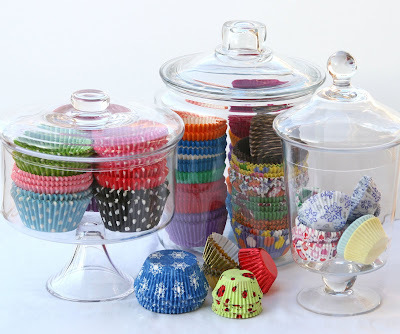 I am a cupcake fanatic and could buy all of these liners in a heartbeat, they are so pretty. Thank you! Where do you get your beautiful glass jars? Do you collect them? I am not sure where to start looking for them. I love seeing them in bakeries and candy shops. Thanks so much for the information. I just stumbled across your blog yesterday and sent you a message regarding this topic. Thank you so much for sharing! As a baker, I am always on the look out for new baking items to add to my collection! Thanks for the post…I always wondered how to keep the colour of my cupcakes cases…I am now on the hunt for greaseproof or glassine ones over here in Australia. I think I might have to check out if those websites you listed will deliver to this side of the world. Great info! I am going to check those sites out now….i love beautiful cupcake liners, especially damask ones! I hope I can find some that are greaseproof! Thank you! I was asking myself that question the first time I saw the vanilla cupcakes. Now, I know what to look for. 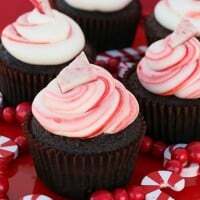 I'm making your chocolate cupcakes for my family tomorrow and I'm using cupcake liners i won from this blog. I LOVE them (and you)! 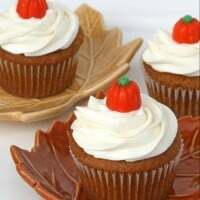 I absolutely love my brown baking cups from Simply Caked, they are great for chocolate cupcakes. There is another problem I have with some cupcake liners: sometimes liners come loose from the baked cupcake. It has happened to me a few times using greaseproof Culpitt Printed baking cases (could be a coincidence though… They do keep their color/pattern which is great). Do you have any idea why this happens? Hope you or anyone else can help me with this. Thank you! How lovely! So greaseproof is the key, I will remember that, thanks. A group of us on FB wondering this, so I'm on the hunt for a answer. That's how I found your blog. Love your liners & the blog!! Love the idea of storing them in glass containers 😉 Whenever I use the "greaseproof" liners they peel away from my cupcakes. Any suggestions? Thank you for this! This has been a wonder of mine for ages. Every cupcake liner I have ever used loses its color and it irritates me greatly. This post was a huge help!! U make me want Cupcake liners. Preferably one set in every color. This is gorgeous Glory-bee. LOVE THE PICS! Do you know what would make the cupcake pull away from the liner? thank you. i just only recently realized there was such a thing as grease proof liners. now my cupcakes will look much cuter! I loved those cupcake cakestands : ) Where can I buy them? I love your blog ! thanks for the wonderful tip on glassine! I am in love with your blog…just spent over an hour and a half browsing and reading and saving your recipes to try!! thank you!! I am adding you to my google reader!!! Thanks for your tips. I am so sick of buying pretty liners just to have them look like nothing after they are baked. I am obviously buying the wrong type. I am amazed that you can still see that bright blue liner with a chocolate cupcake in it!! Do you know where the pink liners with the pastel rainbow came from? They would be PERFECT for a baby shower I am doing and I checked all three sites but didn't see them. THANKS! Hi. From one baker to the other I have found by trial and error that baking in two wrappers that have not been separated keeps the color and its original tight shape. I love the wrappers in the glass jars. What a cute idea. This is the information I've been looking for! Thank you!!! I've had the SAME question for a long time now!! Thanks for enlightening us all Love the display in the cute containers!! I just might have to copy you!! 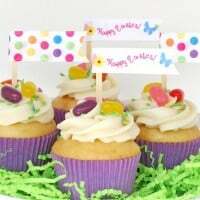 This is off topic, but the decoration you have on top of the purple and blue cupcakes would be super cute for my daughter's birthday. How do you make those? Re: Cupcake liners pulling away- I've only had this happen a time or two, and I have no real awswer as to why it happens! It's only happened to me with cupcakes left overnight, in a tupperware or something similar, I think some liners don't handle the moisture well. Sorry I can't be of much help on this one! I've noticed that some of your liners, from past posts, seem to be those very stiff (almost like nut cups) and I'm wondering if that's what they were. If so, did you have to spray them for release? Thanks for any help. doors, effective May 1, 2012.
what truly brings us happiness. usual; all orders will be fulfilled by Simply Caked. Thank you for your loyalty and patronage over the last 3 years. I don't know where you are located, but Sweet recently opened a store in Lawrence, KS (I think they have one in Topeka, too) and if you ever have a chance to visit, do it! It's a great shop and the ladies are so kind. I like you both on Facebook. Thanks for the lovely giveaway. Great giveaway! Would love to use your liners! I love pretty colors and designs on cupcake holders! I just bought some labeled grease proof and I can’t wait to try them. Thank you so much for this info! I have always been so annoyed after buying pretty liners only to have them lose their look after baking! Thank you! Been looking for a good selection of grease proof or glassine liners, but didn’t know that’s what they were called. 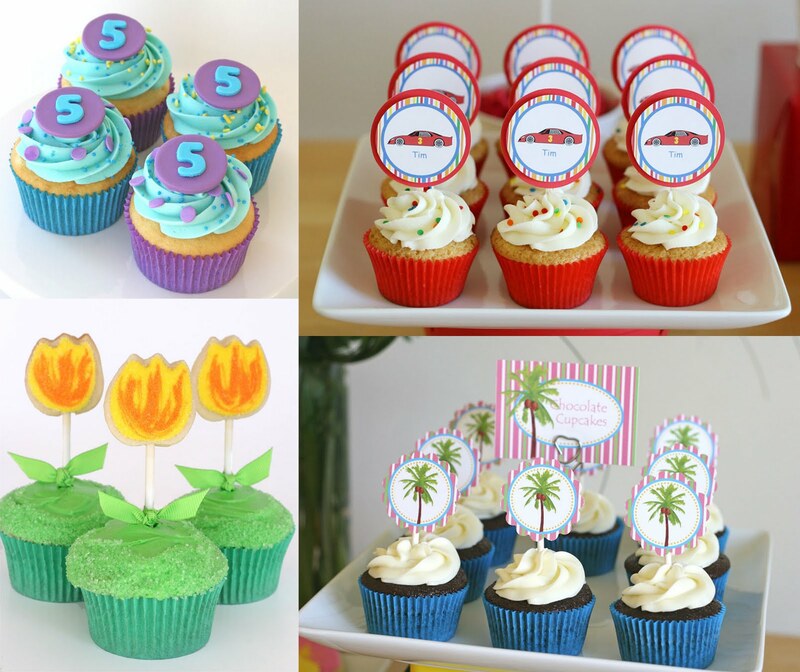 Your cupcake decorating is simple and stand-out. Great Job! 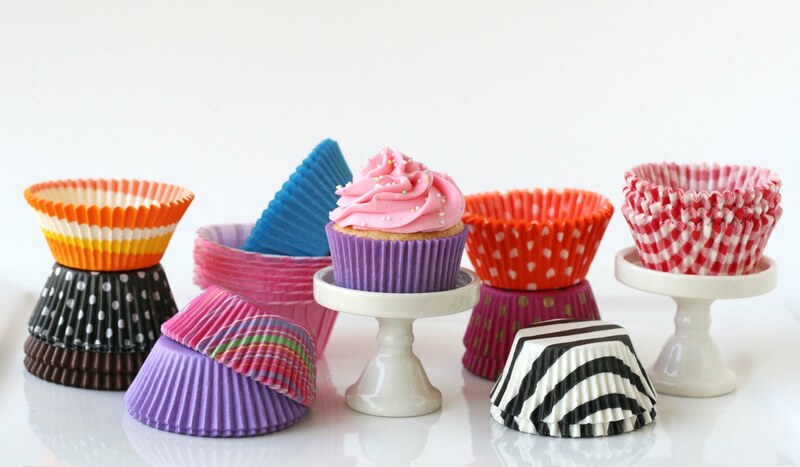 We are baking cups supplier. We can assure you best quality with competitive price.